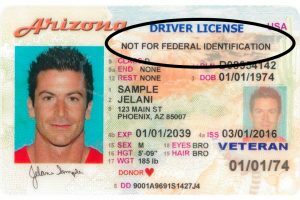 Blog Why Will The TSA No Longer Accept Arizona Driver’s Licenses in 2020? Starting Oct. 1, 2020, Arizonans will no longer be able to use their driver’s license as an ID at TSA checkpoints at the airport. Regularly issued driver’s licenses are not in line with federal credential standards. “The challenge for us is people don’t come in every three to five years, or whatever it might be, to renew their driver license,” Nick said.